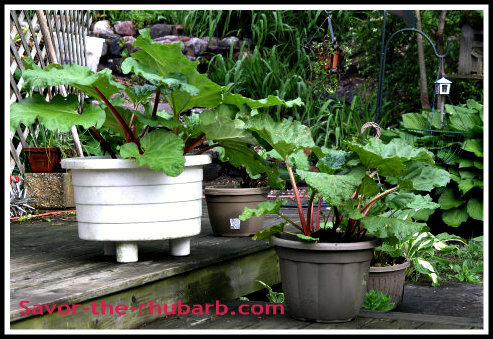 Rhubarb loves my easy compost-tea-recipe. The more I pour it to the plants, the better they seem to thrive. I know I don't make this liquid nutrition properly though, or maybe my way is just pretty unconventional. I don't have hoses and tubes and things coming from my compost pail I'm afraid. In fact, it didn't occur to me at all to do it that way, though I have seen it done like that. By the way, those who make this wonderful stuff with hoses etc. aren't wrong. They probably make much better tea for their plants than I do. And, I don't put it through a cheese-cloth either, and maybe I should. Anyway, I don't knock the more sophisticated methods at all. No, no special equipment here. Frankly I don't have a lot of time to worry about it, and so I simply make my own compost-tea-recipe differently and quite crudely if others were to judge. So, what's in my liquid feed? Well, everything but the kitchen sink. Just like starting up regular compost, I do the same thing really, except that I make liquid out of it and not a solid material. 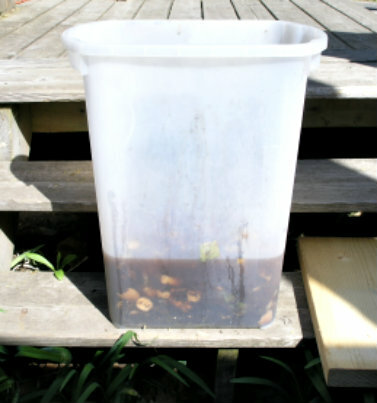 What's in my pail as "water" is actually a yucky looking murky substance that you wouldn't want to take a drink of if your life depended on it. But the plants like it. This pail sits outside of course, covered over with a wood plank. I have a big stir stick that I use to crush it all down and mix well. I take the plank off sometimes during the day just to let it get lots of air. Doesn't look too appetizing, does it? It's not supposed to be to us. 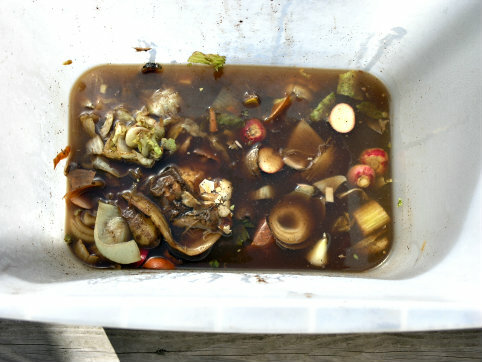 This mixture consists of coffee grounds, coffee pot liquid leftovers, tea-bags, potato peels, ALL vegetable peelings like lettuce, radishes, onions,celery, carrots etc. There are banana skins, liquid tea leftovers and egg shells all ground up in there. There's also some soil, and leaf clippings in there as well. I add to it daily with all of the above. 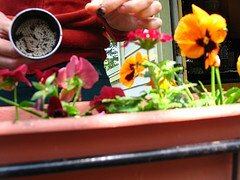 Add a little dirt, add some regular compost from the leaf pile, add water, and just keep stirring. That's it, nothing fancy. My own version of compost tea and ingredients doesn't seem to be hurting this plant at all. This picture was taken mid-May 2013. Again, may not be doing it like everyone else, but my compost-tea-recipe seems to be working for me. All I've needed is a pail, a good heavy stir-stick, water and veggies mainly. 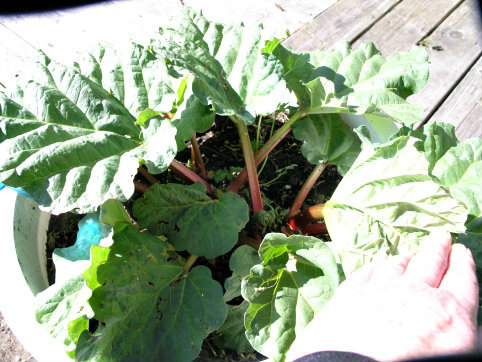 The rhubarb plants get a good drink every few days. I simply dip in for a good glass of it and pour. Give it a try. 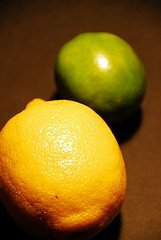 Throw all peelings into your compost tea. It's a very healthy and delicious drink for your plants.